Angeles City Councilor Edgardo “Edu” Pamintuan Jr. met his former boss, Albay 2nd District Representative Joey Salceda, once again! The Central Luzon politiko recently visited the House of Representatives. He just had to drop by the office of Salceda, of course! 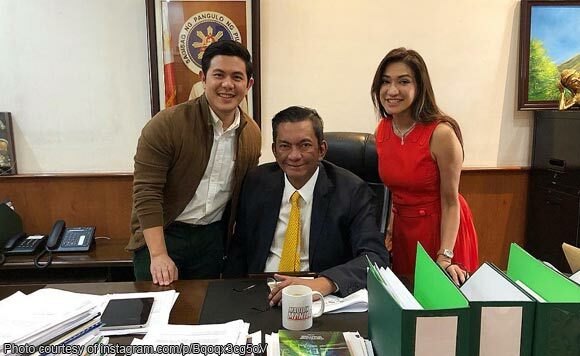 “Visited my former boss, Congressman Joey Sarte Salceda of Albay and our lovely oversight [committee] secretary then, @AttyCarolineCruz,” said Pamintuan. “It was nice seeing you again, guys!” he added. Visited my former boss Congressman Joey Sarte Salceda of Albay and our lovely Oversight Cttee Secretary then, @AttyCarolineCruz. It was nice seeing you again guys!